(flatulence!) but the townies are about the only morally decent individuals you will encounter. Middlebury students are close-minded, pretentious and socially graceless. They exist in their own fairy tale where everyone is a rich WASP (White Ango-Saxon Protestant) from a gated community. RACISM runs wild on this campus the likes of which you'd expect to find in a small southern town. If there is an "ism" that you can think of, Middlebury College has a full stock of it! Every campus has its share of sexual and racial intolerance, but Middlebury College takes it to an uncommon low. These elements should make campus life very clear: students write racist epithets on the display boards of multicultural clubs, conservatism dominates, professors are condescending to certain (often minority) students and even ridicule them in class, the dining halls are obviously segregated by race and social class, gay bashing is a ritual (every year the members of a gay and lesbian club build a gay pride closet for "coming out" week, and it is repeatedly torn down), and religions outside of Protestantism are collectively mocked. The campus atmosphere feels like an Arthur Miller play; the small New England community with its share of hypocrisies and witch hunts. I am surprised that public stonings are not offered as a winter sport, alongside skiing. The students are too hung up on frivolous concerns and they lose sight of the intellectual purpose of this institution. Needless to say, it is not an academic environment. A HOSTILE atmosphere settles over this campus like smog. I have met many people who have been sought out and victimized like a fox hunt by other students. Are you looking for support against your attackers on this minutely small campus? Nice try, sucker. The administration (swindling rat bastards!) offers virtually no protection for victims of harassment (all kinds, even sexual). The administration BLAMES THE VICTIM for the harassment. I know it's hard to believe in this day and age, but it is the degrading reality of this place. Even the Guidance department is a haven for guilt and brainwashing. That is the reason why many students who have been victimized on this campus do not come forward to the administration, which treats THEM as the perpetrators of the crime. The administration's attitude is, 'well what did you expect? You chose to come here and now you'll simply have to suffer.' You get the impression that they simply don't care, and they deny what is happening in order to avoid controversy that could potentially tarnish the school's image. They sacrifice the psychological and, indeed, physical well-being of their students for this false image. That kind of apathy is unacceptable on a campus as small as this one. The fact that this school is highly selective and small is precisely why they SHOULD take an active interest in the student climate. The majority of students here are truly VILE, and I wouldn't say these things lightly. Trust me, DO NOT waste your time in this Puritanical hellhole. There are too many good schools in the world to hurt yourself like this. Life is too short, and college shouldn't be medieval torture. 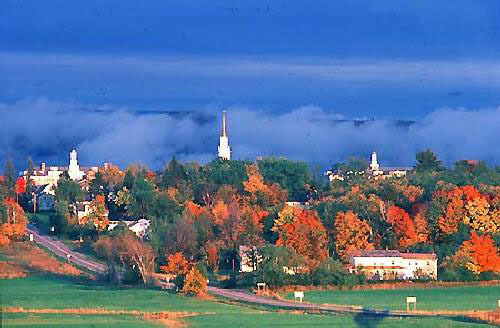 Middlebury is overpriced (forty thousand a year and rising) and the academics are adequate at best. This school is so bad, you'll probably need therapy after you graduate.